“Obey Leash Laws” is a forthcoming book, containing anagrams and sketches. There will be 20 pages, 5 x 4 inches, printed digitally. Anticipated release date is August 17. I don’t remember when I first scribbled this diagram in a sketchbook but I’d probably been reading about transformational rules in formal systems. 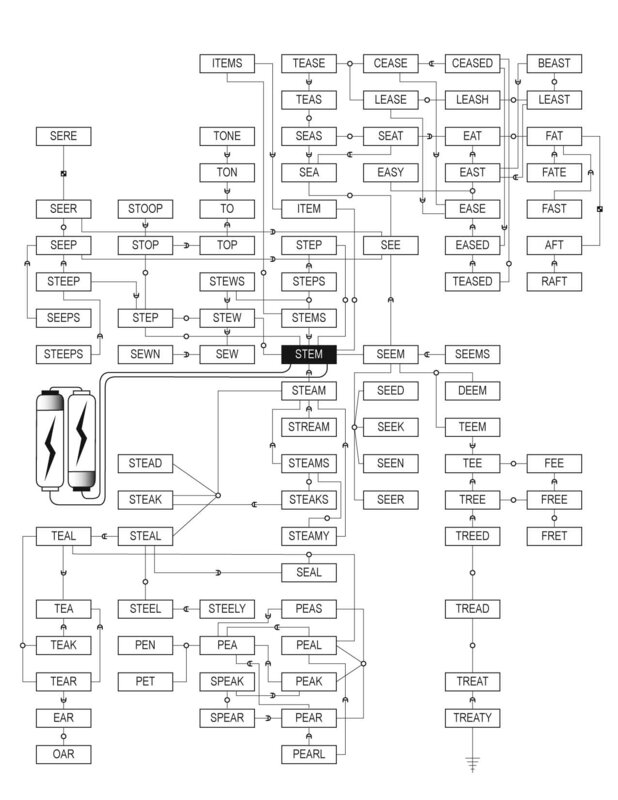 The diagram’s root is the word ‘stem’. Wherever two words are linked by a line in the diagram the rule applied to make the transformation from one word to the other is indicated by a symbol on the line. The idea of two batteries and a ground to power the system is copied from a gift drawn by my nephew. Commuting by bus I sometimes entertain myself by creating lists of five-letter words. 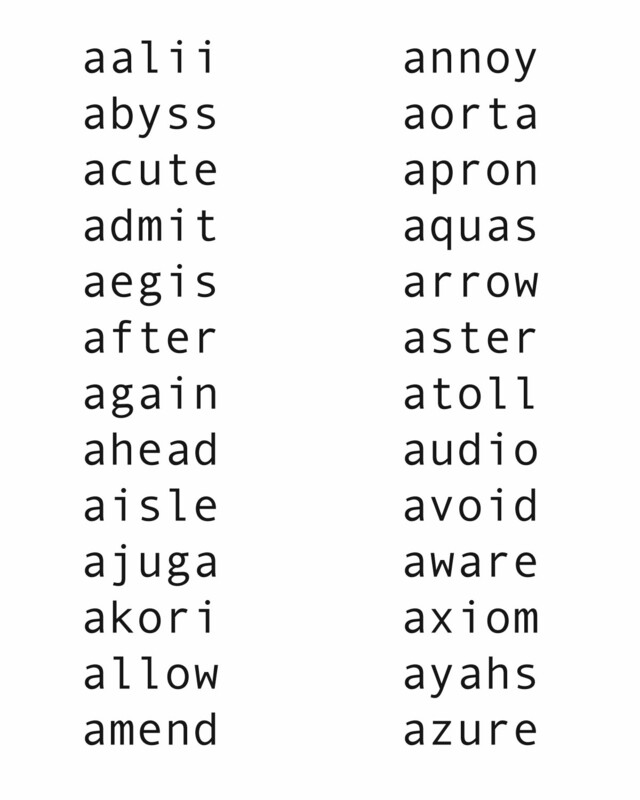 This is a list in which the first letter of each word is ‘a’ and the second letter ranges from ‘a’ through ‘z’. 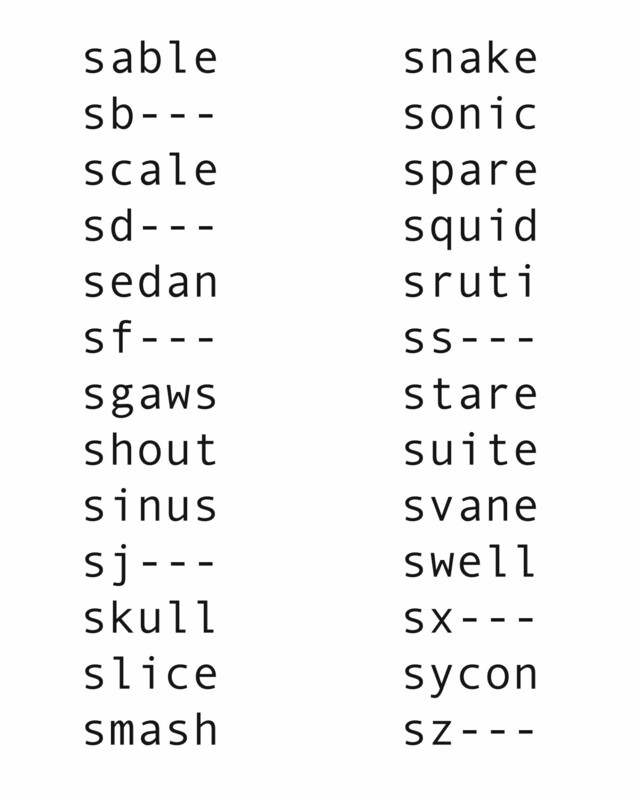 If there are slots in a list that I can’t fill with words out of my head I resort to a dictionary collection to find, for example, that an aalii is a tree that grows in Hawaii where there are ample vowels to sustain it. However, there are many times when even dictionaries are no help, as in the following list in which which the first letter of each word is ‘s’ and the second letter ranges from ‘a’ through ‘z’. There is room in the English language for more words. Sometimes I walk around my neighborhood picking up trash. That’s how I found this broken ruler.